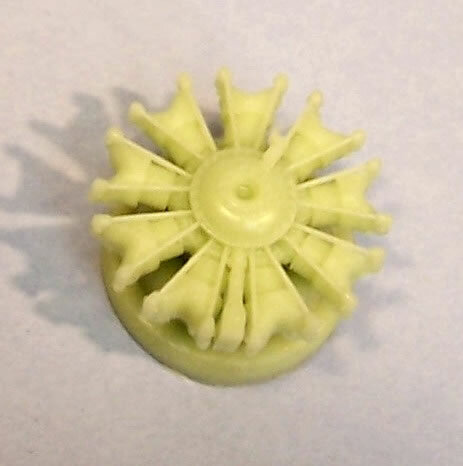 Each Engine, 1 x resin part. 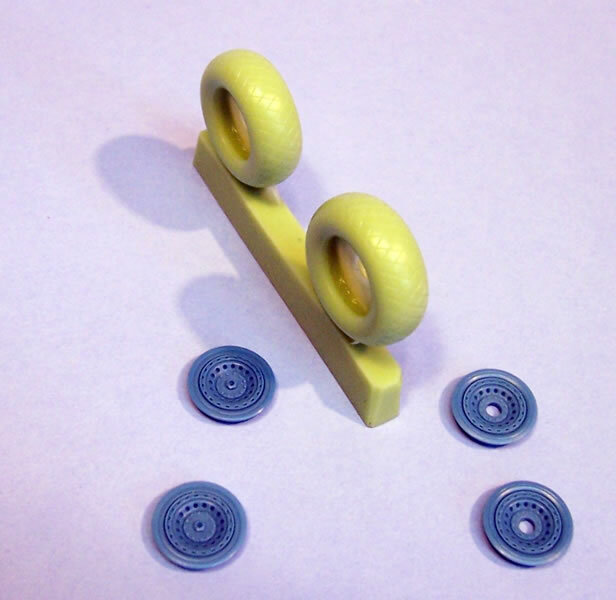 Each wheel set 6 x resin parts. 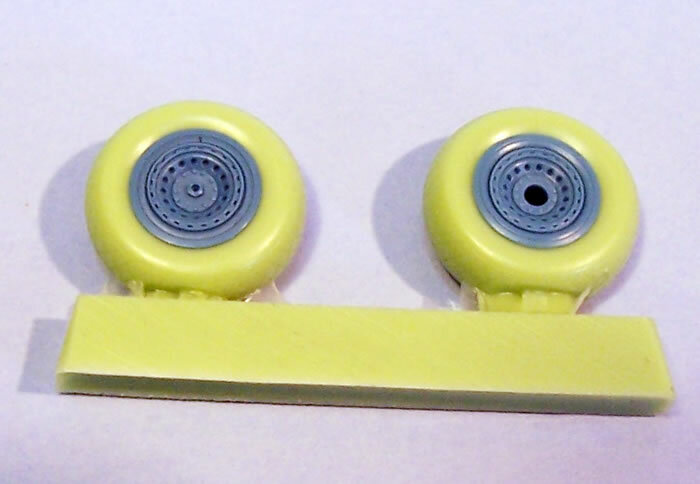 Nicely detailed engines, separate hubs to wheels a real plus, and resin cast to the highest standards. An excellent complement to a plethora of 1/72 kits – Highly recommended. 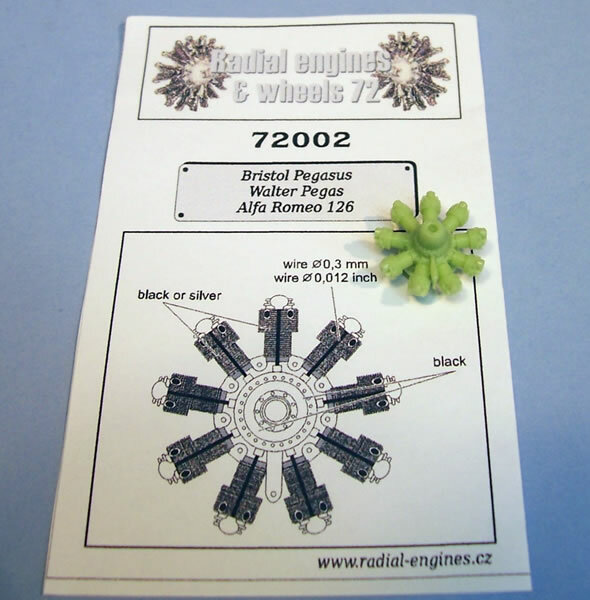 Radial Engines & Wheels 72 is a company new to me. 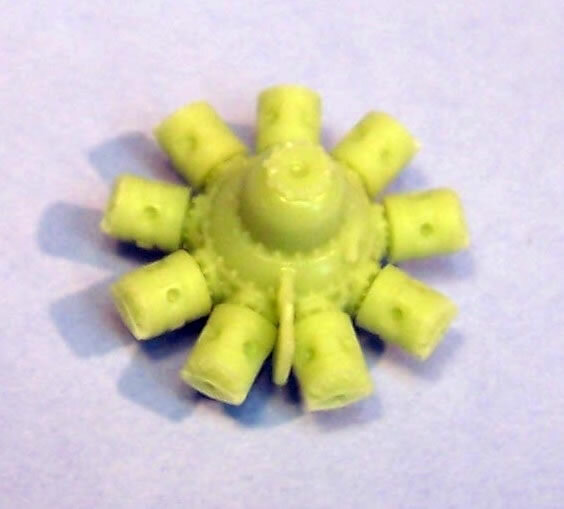 Unsurprisingly it specialises in resin radial engines and wheels to 1/72 scale. The man behind this Czech company is Michal Zervan. 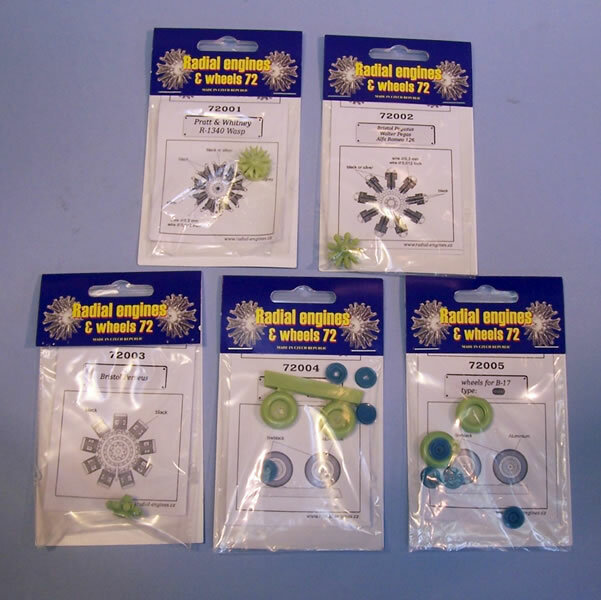 He has for some time been a third party pattern maker for Czech Master Resin (CMR), mastering radial engines and the like for some of their kits. 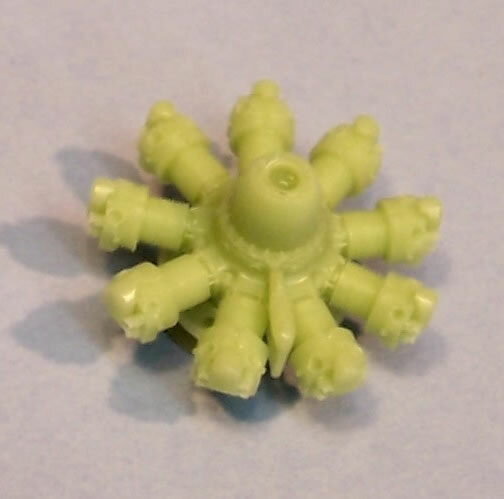 Petr Buchar of CMR was frequently asked by modellers why they did not offer the radial engines in their kits for sale as separate accessory items (the interest was especially high for Bristol engines). This led Petr to persuade Michal to do just that. He masters the various engines and wheels and these are cast by CMR who are also the exclusive exporter of this line. The items come in a zip-lock plastic bag stapled to a card header and include simple painting instructions. The variety of engines and wheels reviewed here are simple but very nicely produced with good levels of detail. 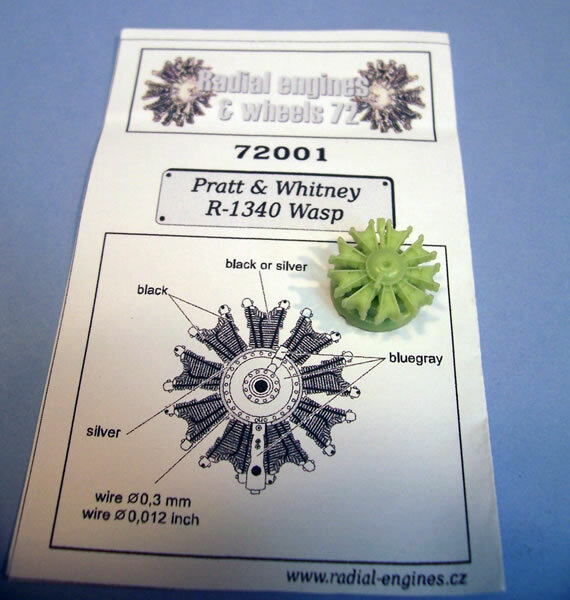 Radial engines are often amongst the most poorly represented features on many 1/72 kits, especially some older ones; so good affordable replacements are one of the best improvements that can be made to them. A list of aircraft an engine was used by, including in its licence production form if applicable, is included with the its painting instructions. 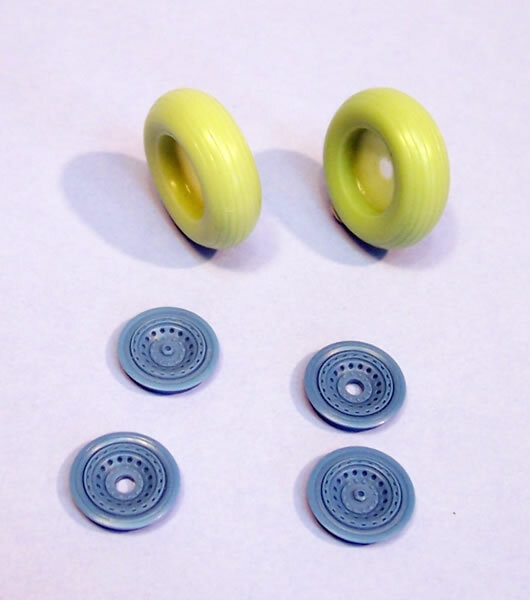 A nice feature of the B-17 wheels is the totally separate wheel hubs; making painting a breeze as no masking or careful brush control is required. I also like the weighted flat without the overly deflated look that characterises some brands. The two sets cater for rib and diamond tread patterns. These are excellent replacement engines and wheels suitable for a huge of subjects. I recommend them and encourage others to support this new company so that we see more items added to their range (some are already listed here). 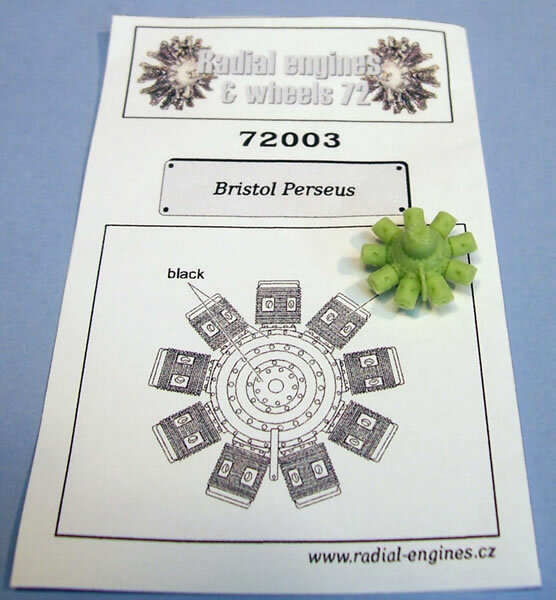 Thanks to Radial Engines & Wheels 72 for the review samples.